Basel is possibly the ultimate middle-European city. From whichever direction you arrive you’re soon staring at a national frontier or natural borderline. Despite this the city has a distinctive air of being somewhere, rather than another example of the type, Trieste ‘in Italy’, which does’t feel much like anywhere in particular. The three main entry and exit points are all distinctive, unusual ports and can be visited in a morning or afternoon, especially if you arrive or depart by air. On the way you can see many of the highlights of Switzerland’s third largest city, which remains true even when you take out the bits of it that are French and German. 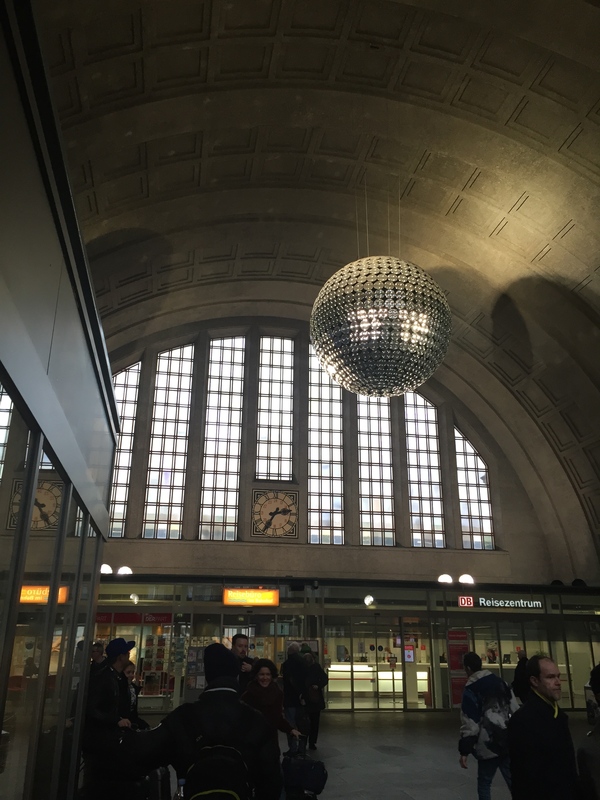 Basel ‘German Station’ as the Deutsche Bahn operators refer to it is a dramatic early concrete building with a contemporary glitter ball adding a certain something to the ticket hall. Despite its lessened significance – inter-city services continue on to Basel SBB – it has the striking feature of a customs post in the subway and some retro green trams waiting outside to carry you across the Rhine to Basel (proper). This station represents your last chance to stock up on carb-heavy German railway station concessions if you’re heading into Switzerland or France, despite actually being on Swiss soil. On the way between stations – should you intend on doing some actual sightseeing – don’t miss Basel’s excellent historical museum, complete with a remarkable stained glass window of the city’s guilds and finds from the Celtic, Roman and later periods. Basel’s strategic location on a bluff overlooking the Rhine has made it a kind of Euro-melting pot for millennia. The coffee shop in the Stad-Mitte is lovely, with free wifi and has a roaring fire. Station board geeks will love the clacker-board (or Solari Board, its common name) at Basel SBB, and it is only one of several treats in store at this terminal that richly rewards exploration. Note from the outside of the station, completed in 1907, the huge twin SBB clocks embedded in the towers. Then, on entering the vast, high ticket hall, spin round to see the murals celebrating other delights of Switzerland, including the Jungfrau Railway and Gstaad. 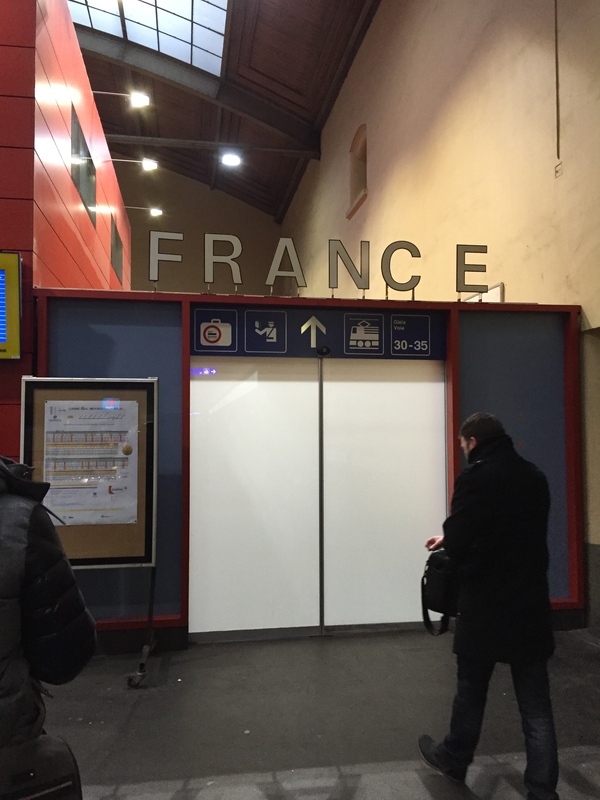 The Solari Board clacks away showing over 1000 trains a day, reaching deep into Switzerland, France and Italy. I found myself close to boarding an Interlaken service, then another to Lauterbrunnen, and then a bus to the Alpenhof at the end of the road to fulfill a dream I’ve had since last there of returning on a whim. Another time, and from London too. 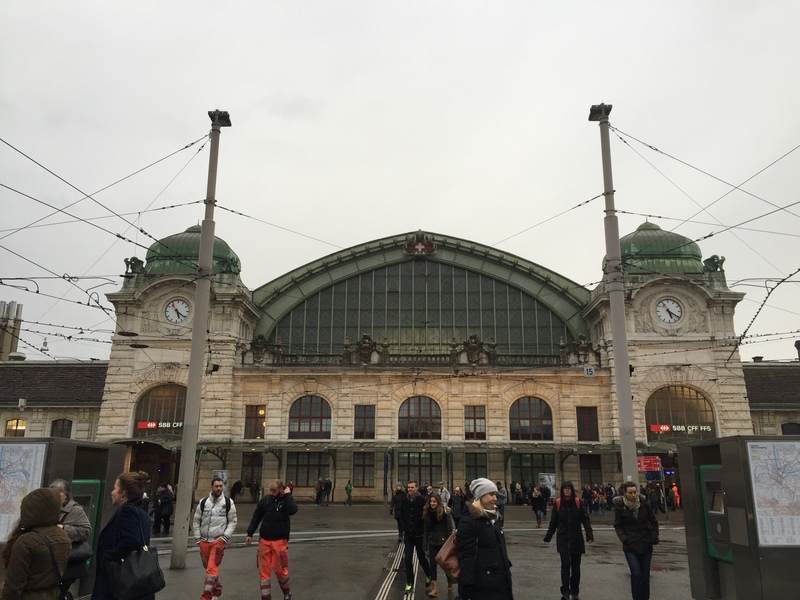 As Europe’s busiest transborder station there is a sense of pace here perhaps not found elsewhere in the region, or even in Switzerland, and a stroll down to France (accessed via platforms 31-5) is a must-do when you’re here. 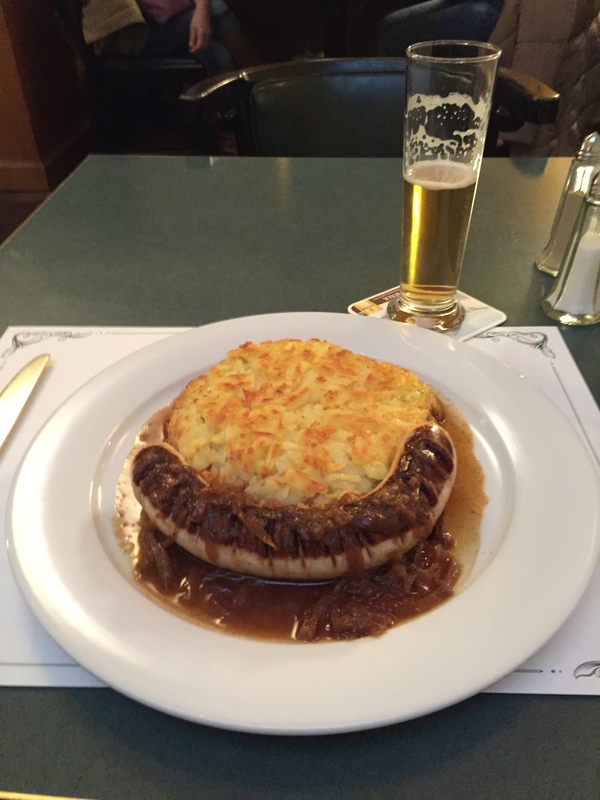 Before or after that pop into the last remaining restaurant in the station, where for quite a lot of money for most places but not a lot for Switzerland you can try a rosti-based dish. Don’t fret: they won’t try to sneak any greens anywhere near your meal. It’s a wonderful and timeless grand room and a lovely place to sit for an hour. The bus for the airport also leaves from right outside here every few minutes. If the urge to detour to Arsene Wenger’s birthplace in Strasbourg doesn’t lead you astray, then a flight through this airport neatly demonstrates Europe’s complex, interlinked border arrangements. 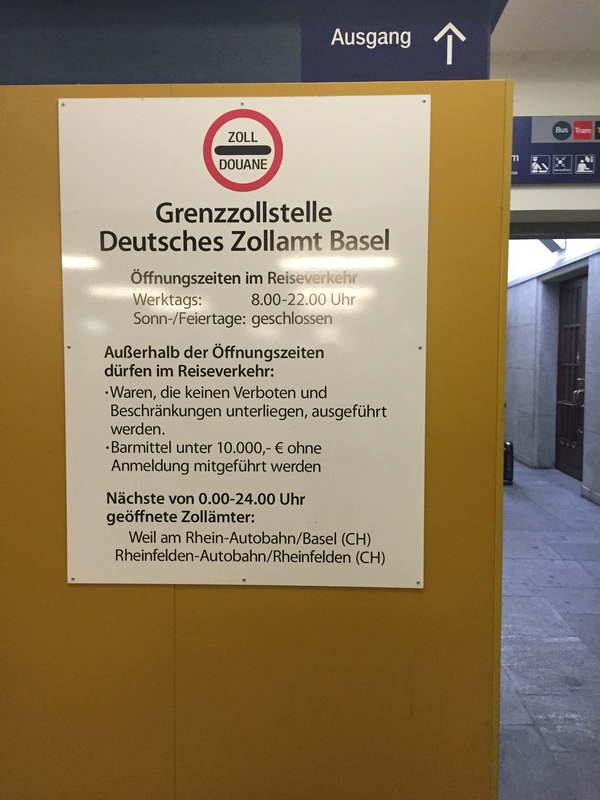 Heading from Basel SBB to the airport you cross the land border into France. At check in everyone mumbles a strange mix of French and German until you remind them that, as a Briton you cannot understand them, and they break into flawless English and you smile a defeated smile. Once through this, passport control splits you into two lines depending on whether you arrived at the airport from the Swiss or French ‘side’. This seems to be a system that depends on your honesty. Once through here there is another fork in the road for those flying within the Schengen area and anyone else. British-bound passengers take the right fork and enter another no-man’s land. At airports across Europe the non-Schengen areas of airports, carrying fewer flights than other parts have very average facilities and this one is…alright.